#weddinggoals this weekend at this festival themed wedding! 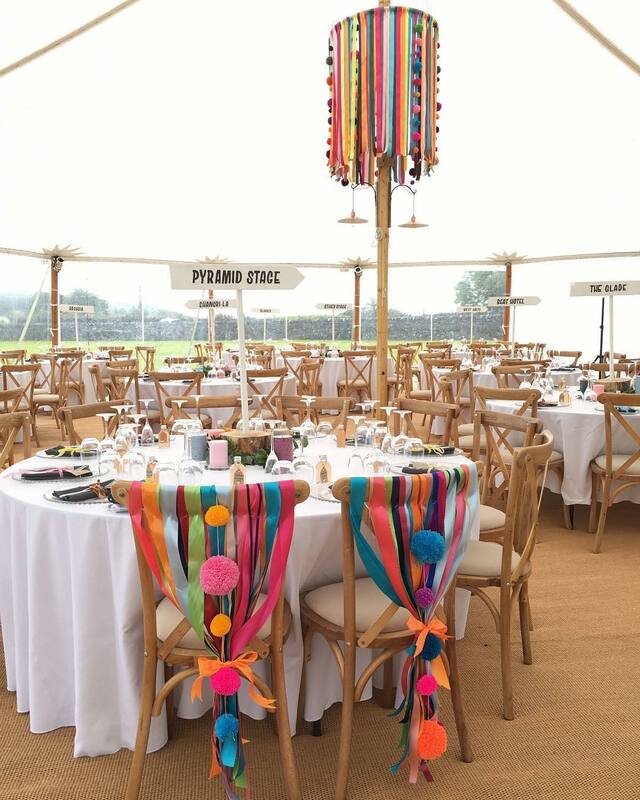 our snazzy new cross back chairs where made extra fabulous with some Colourful pom Pom love! 😍 Massive Congrats to the festival hero’s Sarah and Tom! .